West Indies 4-205 (Chris Gayle 75*, Kieron Pollard 38, Pat Cummins 2-36) beat Australia 131 (George Bailey 63, Michael Hussey 18, Ravi Rampaul 3-16) by 74 runs. The West Indian batsmen led by Chris Gayle tortured the Australian bowlers and the Windies bowlers crushed the Kangaroos batting in the one sided 2nd semi final. West Indies plundered 205 runs for the loss of just four wickets at the end of the scheduled 20 overs. The Australian batting was unable to sustain the pressure of the quality bowling from the Caribbeans and they were bowled out for 131 runs in 16.4 overs. Chris Gayle (West Indies) was declared ‘Player of the match’ for his enterprising unbeaten knock of 75 runs while opening the innings. The second semi-final of the ICC World Twenty20 was played on Friday, October 5, 2012, at R Premadasa Stadium, Colombo. The West Indies captain, Darren Sammy, won the toss and sent his batsmen in to provide a solid score which can be defended by his bowlers. Johnson Charles and Chris Gayle opened the innings and the first hit 2 fours in the second over. Charles wanted to continue with his speedy mode but lost his wicket in the next over for 10 runs as the total touched 16. The batsman in-form, Marlon Samuels joined in with Gayle who hit the first six of the innings on the last ball of the fifth over off Shane Watson. Xavier Doherty was introduced by the Australian skipper George Bailey and both batsmen got one six each in the 6th over. Samuels scored 26 quick fired runs off 20 balls with 2 sixes and even fours before he was clean bowled by Pat Cummins on the second ball of the 8th over. The second wicket fell at 57 as Dwayne Bravo made his way to the centre. Chris Gayle took over, started charging at the rival bowlers and the first hundred of the innings was posted on board in the 13th over. Bravo joined the show by dispatching the ball out of the fence as Gayle punished David Hussey for 16 runs with 1 grand six and a couple of fours and achieved his 10th T20 fifty on 29 mere balls. The third wicket partnership associated 83 runs from just 51 deliveries when Dwayne Bravo was caught by George Bailey off Pat Cummins for 37 scored on 31 with 3 huge sixes and 1 four. Kieron Pollard was the next batsman in who provided a solid support to the superb, Chris Gayle. The duo butchered the ordinary looking bowling attack of the Kangaroos at will and majority of the runs were scored through the boundaries. The last three overs resulted in 55 runs that included 25 runs alone from the final over bowled by Doherty comprising 4 lofty sixes. Chris Gayle remained unbeaten for 75 off 41 with 6 mighty sixes and 5 fours as Kieron Pollard lost his wicket on the last ball of the innings for 38 off just 15 balls with 3 giant sixes and even fours. West Indies hammered 205 runs with six wickets in hand in 20 overs. Pat Cummins was the most successful bowler with two wickets whereas Mitchell Starc and Xavier Doherty shared one wicket each. The Australian innings was initiated by their competent openers, David Warner and Shane Watson as Sammy handed over the ball to the leg spinner Samuel Badree. The stumps of Warner were dislodged by Badree on the last ball of the first over as Michael Hussey took guards in the centre. He tried to accelerate the demanding run rate but lost his wicket for 18 and Badree sent Watson back to the pavilion for seven runs in the fifth over. The Windies bowlers took over and the Kangaroos were in dire trouble while losing their top five batsmen for 42 runs in 6.3 overs. The miseries were multiplied when the last recognised batsman, Matthew Wade became the next victim after the addition of one run in the score. The Australian skipper, George Bailey, was stranded at one end and witnessed the sliding of the wickets from the other end. Bailey decided to have a go on the Caribbean bowling and dispatched 21 runs in the 11th over with 2 smart sixes and 3 fours. He smashed his maiden T20 fifty on the first ball of the next over on just 23 deliveries. The seventh wicket partnership thrashed 68 runs in 36 mere balls as George Bailey was caught by Andre Russell off Kieron Pollard for 63 from 29 balls with 4 towering sixes and 6 fours. The tail was vanished in no time and the entire Australian team was scratched for 131 runs with 26 balls to spare. Ravi Rampaul was the star performer with three wickets, Samuel Badree, Sunil Narine and Kieron Pollard held two wickets each whereas Marlon Samuels claimed one wicket. 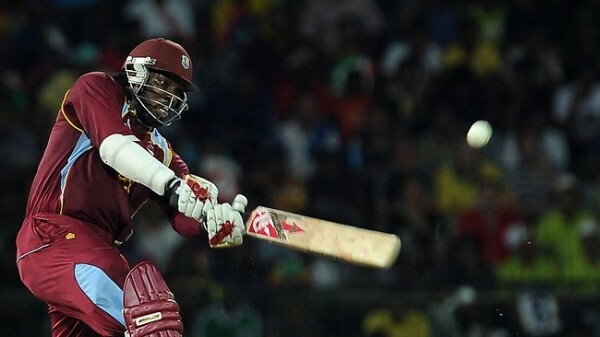 West Indies won the match in a commanding way by a big margin of 74 runs and have qualified for the Final of the ICC World Twenty20 2012. It is for the first time that they have reached the final in the shortest version of the game and will play against the hosts Sri Lanka for the title on Sunday, October 7, 2012.